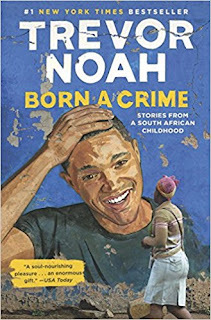 Summary (from the inside flap of the book): Trevor Noah's unlikely path from apartheid South Africa to the desk of The Daily Show began with a criminal act: his birth. Trevor was born to a white Swiss father and a black Xhosa mother at a time when such a union was punishable by five years in prison. Living proof of his parents' indiscretion, Trevor was kept mostly indoors for the earliest years of his life, bound by the extreme and often absurd measures his mother took to hide him from a government that could, at any moment, steal him away. Finally liberated by the end of South Africa's tyrannical white rule, Trevor and his mother set forth on a grand adventure, living openly and freely and embracing the opportunities won by a centuries-long struggle. Born a Crime is the story of a mischievous young boy who grows into a restless young man as he struggles to find himself in a world where he was never supposed to exist. It is also the story of that young mans' relationship with his fearless, rebellious, and fervently religious mother--his teammate, a woman determined to save her son from the cycle of poverty, violence, and abuse that would ultimately threaten her own life. Review: I haven't really watched Trevor Noah on the Daily Show all that much, but I think he's good. And, I've read a number of positive reviews of this book so I was pleased to receive it as one of my Christmas presents this year. Such an interesting book! 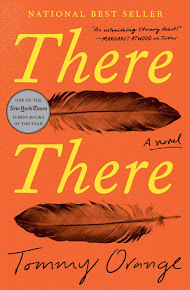 Noah weaves stories in such a way that, even if they are tragic, you find yourself smiling and laughing and the absurdity of it all. He's led such an interesting and crazy life. This book only covers up to his early 20s--his time under apartheid and after, living in townships, struggling to make ends meet, going to school, etc. I don't want to say too much and give away his experiences, because they will be best read without much knowledge of what's to come. 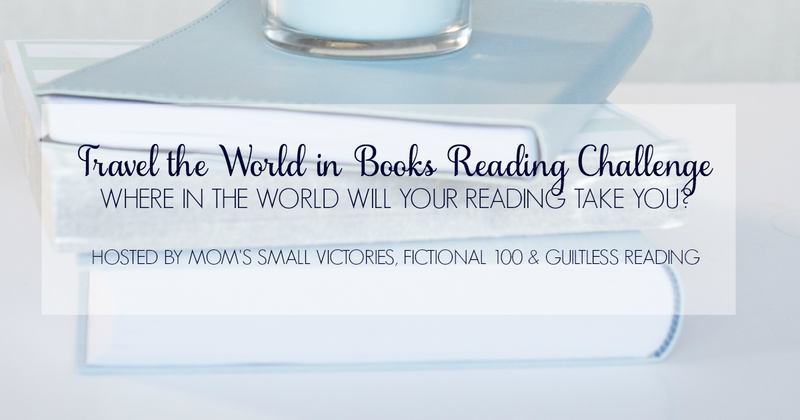 Each chapter is centered around a theme: religion; language; crime; his mom. To introduce each theme, he included one to two pages of historical information so that the reader understands the background and the situation. I liked that because it made the stories he told about his life have more substance and meaning. The part I found most interesting was the sections on language. South Africa has eleven official languages and Noah speaks many of them. I like his insights about how speaking someone's language makes the two of you connect, bond and understand one another. Really, that's one of his main messages--figuring out where and how you fit in with other people.